02/16/19 - Here's what the Editors of Metomode Detroit recently said about Fred's Unique Furniture:"Upcycling: 5 Favorite Spots for Your Fix in Metro Detroit. :Fred's Unique Furniture Best Store for Furniture...and Getting Lost for Hours.This store dares you to find a diamond in the rough (literally, the website warns you of it’s piles of furniture) but it really does have some gems. The packed warehouses contain everything from vintage dressers to retro slot machines to office chairs, and you could spend days pouring over the bric-a-brac.The furniture store is not a traditional showroom (consider yourself warned) but its cluttered collections include hotel liquidation furniture, and gently-used office furniture so a lot of businesses turn to Fred’s to outfit a new place. 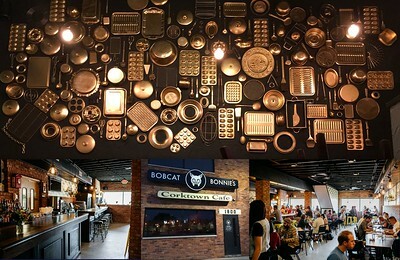 The owners of Bobcat Bonnie's cafe in Wyandotte even created a striking wall mural of kitchen items (pots, pans and trays) from what they found at Fred’s Warren location.Fred originally launched the store three decades ago in a 200 square-foot shop, and is one of those iconic Detroit characters. He has been featured on the History Channel’s "Detroit Steel", and his stores regularly make the “best of” lists for resale shopping in Detroit." 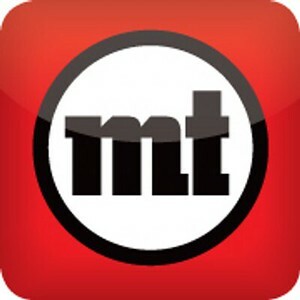 We would like to thank Metromode Detroit for their very kind review. We are working very hard to complete our new showroom renovation in order to make shopping here an even more convenient and fun experience in the future. 5/8/17 - Good news travels fast, so when Nancy from Farmington Hills first visited Fred's Warren Store, she was eager to let her close friend Lori, an attorney from Traverse City, know about it. Recently, Nancy and Lori visited our store bringing with them a small U-Haul trailer. After spending a few hours shopping, they ended up filling it up with furniture and accessories that will look great in both Lori's new Traverse City law offices and home. Fred has always wanted his stores to be a fun place to shop, as well as a place where personal service can always be found no matter how large our store operations have become over the past 35 years. Meeting good people with a good sense of humor and shopping adventure like Nancy and Lori are the type of experiences that Fred and all of us who work here remember and value at the end of our always hectic days. It was a real pleasure meeting you both and knowing that you had an especially great time shopping here. 08/18/16 - StatCounter is a top rated web traffic analysis tool.. The statistics from StatCounter are used to compute web usage share, total number of website hits, returning visitor retention rate, social media reach, mobile device accessibility and overall visitor experience. 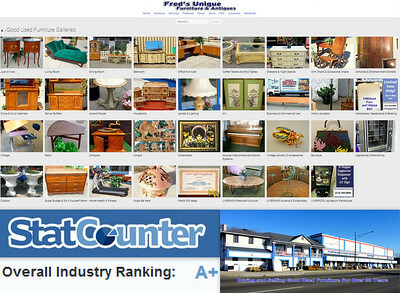 There are complex methods that Stacounter uses to come up with its overall website industry ranking, but we are proud to let you know that Fred's Unique Furniture's Website was recently awarded Statcounter's A+ Ranking. 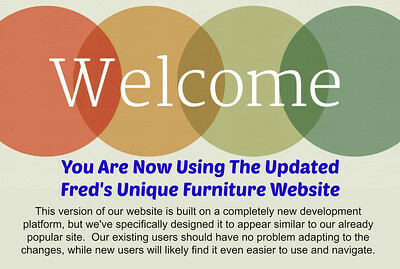 Fred's Unique Furniture invests a lot of time behind the scenes to make sure that our website is up-to-date and entertaining. It's rewarding to know that we have so many frequent returning visitors to our website. We'll continue to work hard to earn your loyalty. 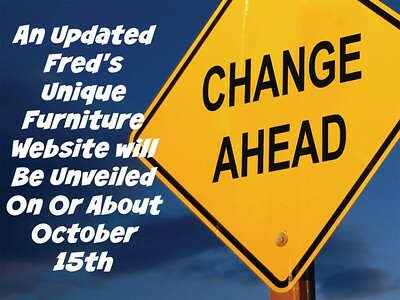 09/24/15 - An Updated Fred's Unique Furniture's Website Will Be Released On Or About October 15th. We're working hard behind the scenes to convert our existing website to accommodate major changes introduced by the SmugMug development platform. As a result, our existing website will soon be retired on or about October 15th. During this intervening period, you may notice formatting changes to certain pages on the existing site that may appear unusual or misaligned. Unfortunately, these anomalies may continue on our existing site up until the time we Publish the new website on or around October 15th. Ironically, even tho the technical changes we are making are significant, our hope is for the new site to operate and look very similar to the way it does now. We will give you a bit of a tease and reveal that there will be some significant improvements in the way pictures are displayed and enlarged, including a new high resolution full screen mode. Pictures in all of our Galleries will also be bigger and more robust, making it easier to see the details of an item and better evaluate its condition. There will also be some navigation changes that will make it easier to turn pages within a Gallery. Our goal is to make this forthcoming transition as easy and painless as possible for our existing website users during the next few weeks before the October 15th changeover. We will keep you informed of progress and further details in the News and Just Arrived Galleries of our website, so stay tuned. 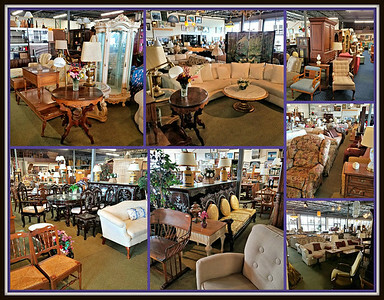 10/14/14 - Check Out Fred's Furniture's Facebook Page For Special "Facebook Only" Discounts The Fred's Unique Furniture Facebook Page has begun offering special Facebook Only discounts for our loyal customers. Visit our Facebook Page by clicking the Facebook Icon at the bottom of any website screen. Aside from more information about Fred, Al, Craig and all the behind-the-scenes crazy stuff that occurs around our store on a daily basis, we'll be offering special deals on various items at even lower discount prices than offered on our website. Our Facebook Friends can expect to see many special Facebook offers in the future, so remember to check back often. Let your friends know about our Facebook Page too. We sincerely look forward to seeing all of you there. Also, please remember to click our Facebook "Like" Button also located at the bottom of every web page. 08/14/18 - The year 2018 has been one with many challenges for Fred, as well as our business. Members of Fred's family have confronted several major health issues and our growing business has placed additional daily strains on Fred and everyone that works here. Needless to say, Fred hasn't had much free time away from his typical 7-day a week schedule. Last Sunday, Fred spent a day by the pool with some of his nephews and nieces and their families. 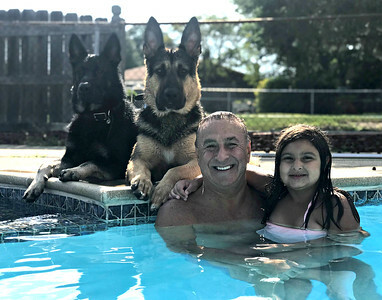 That's Fred with his niece Ronia enjoying a poolside day. Oh, and many of you might not be aware that Fred had acquired 2 new German Sheppard puppies earlier in the year as well. The dog's names are Benjamin (left) and Franklin. Both dogs are 8 months old, as well as being friendly and loyal. 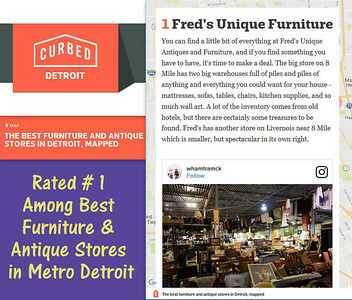 03/20/17 - Curbed Detroit just named Fred's Unique Furniture #1 among the Best Furniture and Antique Stores in Detroit. We are all very proud to be acknowledged by this informative and well-regarded webzine. Many Metro Detroiters are frequenting the Curbed Detroit website to learn more about the essential goings on within our City and also for practical information about real estate and property issues. We sincerely appreciate the reporters and editors at Curbed Detroit for including Fred's Unique Furniture among their top-rated places to shop. If you haven't visited Fred's Warren Store recently, now is a great time to stop by and re-discover the main showroom in our new 25,000 sq. ft. building directlly next door to our original building. There's definitely something for everyone and you're guaranteed to have fun. 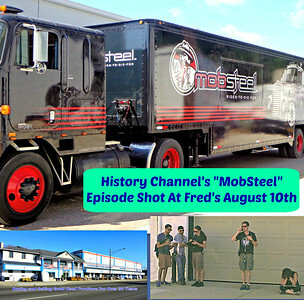 History Channel's New Show "MobSteel" Episode Shot at Fred's. 8/10/16 - We thought it would be no big deal, but when the History Channel's MobSteel production staff began arriving at 10 AM, their numbers quickly grew to over 20 people. And this was before the stars of the show even arrived. Our photo insert shows some of the production crew frantically preparing for the day's filming schedule. Fred's Unique Furniture frequently works with set directors for many major movie and local theatrical production companies, but this is one of the first times we've found ourselves on the other end of the camera. Once you actually see what goes on behind the scenes for one of these major reality show productions, you immediately develop a huge respect for all the detail, complexity and teamwork that is involved in filming what seems like everyday activity. Thank you to all the MobSteel crew who participated in this production. Your professionalism and good cheer made the experience enjoyable for everyone. We're told that the MobSteel episode filmed here will likely be broadcast in January 2017. 08/15/15 - Fred's Furniture Featured As a Great Place to Furnish College Dorm Rooms. The August 19, 2015 issue of Detroit Metro Times has an article about furnishing college dorm rooms and it recommends Fred's Unique Furniture as a great place to visit. Here's what they said: Though most dorms come outfitted with a desk, closet, dresser, and bedframe, there's so much more on the menu for students' consideration. Fred's Unique Furniture, located in northwest Detroit, is a great place to go for any bit of furniture you'd be looking for, big or small. They're one of the largest distributors in the Midwest, and prospective students could easily kill an afternoon in their quest.... Thanks, Metro Times, for the shout out. If you or anyone you know has a need for quality constructed and inexpensive furniture for a college apartment or dorm, please stop by either one of our stores and we'll be happy to show you. 09/04/14 - Fred's Furniture Among Top Local Places for Home Decor. 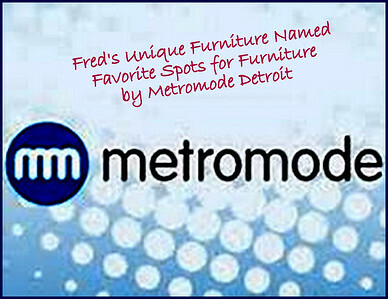 Thank you Detroit Metro Times for recently naming Fred's Unique Furniture among its 9 Local Places for Unique Home Decor and More. We are all proud to be recognized as one of the areas most interesting places to shop. We also realize that shopping here is a challenge, as we are a true liquidation warehouse and not a normal showroom. Fred is working hard to make even more dramatic changes to our buildings and operations over the next 6 months that will allow us to evolve and make shopping here even more enjoyable and fun. Thanks again to Detroit Metro Times and all of our customers for your continuing recognition and support. Customer Chris recently moved into her new condo in Grosse Pointe and wanted to completely start over fresh with different furniture. After checking our website and visiting our Warren Store, she picked out several rooms of quality furniture which we delivered last week. Chris just sent us the photos of how she's arranged everything and we think she's done a terrific job. 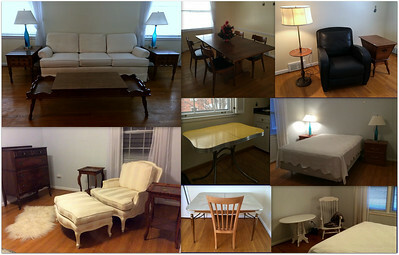 In fact, every furniture piece shown in the above photo collage was purchased from our store. As many of you already know, Fred's is a great place for furnishing your entire home or for simply discovering that perfect piece that will complete the styling look you've been working very hard to achieve. We would like to thank Chris once again for sending us the pictures and for being a valued customer. 03/13/17 - The History Channel's Detroit Steel / Mobsteel TV Show Episode 6 Featuring Fred's Unique Furniture Is Now Airing. In August 2016, the cast and crew of History Channel's Detroit Steel / Mobsteel TV Series shot an unscripted segment of their show at Fred's Unique Furniture's Warren Store. The show's stars Adam and Pam Genei were primarily interested in buying office furniture for their growing Mobsteel classic car restoration business, but quickly ended up finding a few more interesting items that they discovered just by walking around our 2 giant warehouse buildings in Warren. Of course, Fred appears near the end to give them a great package deal on all of the items they picked out. It's an entertaining and fun-filled scene that also provides a flavor of what it's actually like to visit our stores. If you bring your sense of adventure and a little imagination, you're sure to have a great time too. Click the "About" Menu Option of this website and scroll down find a link to a highlight video from the show. Fred's First Day Back From Knee Replacement Surgery. 06/17/2016 - On June 10th, Fred had a total knee replacement. Fred did so well post-surgery that he was discharged a day early and after a week of intense physical therapy, he decided it was time to return to work. The best friend is a long time friend, so Fred was happy to have visits from a number good friends, including one famous Detroit Red Wing NHL Hall of Fame hockey player. 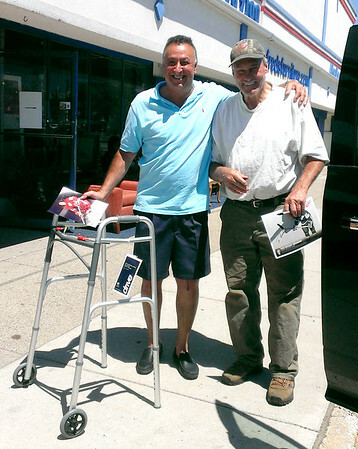 For the next few weeks, Fred will be working a limited schedule at the Warren Store as he works hard on his recovery. 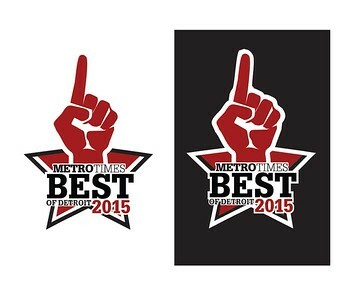 05/15/15 - Fred's Furniture Voted 2015 Best of Detroit by Detroit Metro Times. Yes, once again, Fred's Unique Furniture has been named an Editor's Choice in the Detroit Metro Times Best of Detroit Competition. This year, we were named the "Best Place to Buy Vintage Furniture." Here's what they said: We speak from experience when we say this place is a treasure trove of interesting and exciting finds. Some of their stock are in pristine condition, items they pick up from estate sales in the Boston Edison neighborhood of Detroit. Other stuff is a little shabbier, but perfect for an upcycle project. Looking for a French Provincial bedroom set? Fred's is the place to look. Searching for a vintage bar cart? Hit Fred's before checking Craigslist. The furniture store also has a website that is updated daily with newly stocked items. Thank you to the Editors and Staff at Detroit Metro Times for recognizing our stores. We hope to do even better next year, as we complete our brand new warehouse showroom presently under construction on the property next to our Warren Store. 08/19/14 - Today is a sad day for Fred's Unique Furniture. Our store`s good friend Josh Kazor passed away. Josh lost his battle with cancer and died at the young age of 21, but he will always live inside our memories in a very special place. Fred had known Josh since he was a little boy. During the past 5 years, Josh had become our resident problem solver and technical support person for all our stores. Whether it was working with computers, security cameras or nearly any type of software or hardware issue, Josh always seemed to offer an ingenious solution for even the most difficult and complex problem. In addition, Josh's brilliant way of understanding and thinking about business issues was well beyond his age. Josh's observations and advice were much appreciated by Fred and everyone else who met him. In fact, Fred nicknamed Josh “Spencer Reed,” after the brilliant fictional character from the TV show Criminal Minds. Most of all, Josh was a fun, lighthearted and sensitive person who had a great sense of humor and was just fun to be around. It's extremely sad to lose someone so full of life and hope, especially at such a young age. Josh will continue to be loved and missed by us all. As everyone knows, the Detroit economic revival is going full steam and nowhere is this more apparent than in Detroit's Corktown District where the Bobcat Bonnie's Corktown Cafe is fast becoming known as a "can't miss" destination for good food and good times. Now take a look at the wall mural inside the soon-to-be-open Bobcat Bonnie's Café in Wyandotte. 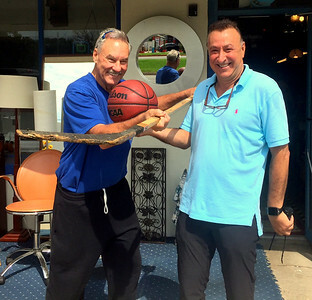 Owners Matthew Buskard and Joey Salamon are friends of Fred's Unique Furniture and also long time customers. One of their innovative décor ideas involved producing a distinctive wall mural composed of kitchen items, pots, pans and trays, etc. purchased from our Warren Store. With a little imagination and a lot of hard work, it certainly appears they've creative a very special look their customers are going to love. 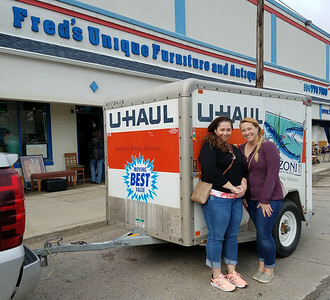 Although Fred's Furniture stores are primarily known for a wide array of furniture and antiques, business owners frequently stop by for unique and eye-catching accents to help distinguish their businesses from the ordinary. Fred and all of us at Fred's Unique Furniture wish continued success and good luck to Matt, Joey and the Bobcat Bonnie's Cafes. We look forward to working with you again in the future. If any of you reading this are ever in the Corktown or Wyandotte areas, we encourage you to stop by and enjoy. 02/21/17 - New Warren Store Showroom Building Looking Pretty Good. As most of you know, our store is completely chaotic and often disorganized with loads of good used furniture moving in and out nearly everyday. The recently completed new showroom building next door to our Warren Store features a large showroom area (shown above) that's intended to look more like a "normal" store and we think we've done a reasonably good job. We're doing our best to keep this showroom area looking this way, but the almost non-stop arrival of residential, office and hotel liquidation furniture into our stores presents daily challenges. Web Site Users Tip: Whenever you see the designation "NBX" appearing next to the keyword code (C12XXXX) for a website item, it means that it is located in our "New Building" Showroom next door to the original Warren Store. If you're a fan of the Fred's Unique Furniture website, then you may want to begin following us on Twitter. Our Webmaster (Craig) will soon begin sending occasional Tweets to provide you with immediate notification when a significant number of additions are made to the site or if a particularly interesting item has arrived at our stores. We'll also use Twitter for occasional Tips about features available in our updated website that you may not be aware of. We're just getting started using Twitter, so please be patient as we begin utilizing it to keep in better touch with you. To begin following us on Twitter, simply click the Twitter Logo at the bottom of any screen on our website. Thank you for following us. We Love Playing a Role in Theatrical Productions. 01/22/15 - Fred's Unique Furniture has the pleasure of being able to work with set designers and prop departments for nearly every major movie produced in the Detroit area. We are also very fortunate to provide prop furniture and unique accents to many local theatrical, advertising and music video productions. A recent visitor to our store Cheryl purchased furniture and prop items for the Walled Lake Western High School Musical Production of Ragtime and was kind enough to send us some pictures. Congratulations on what appears to have been a very professional looking production. We thank you for letting us be a very small part of it. Photo credit to Paul Stoloff. 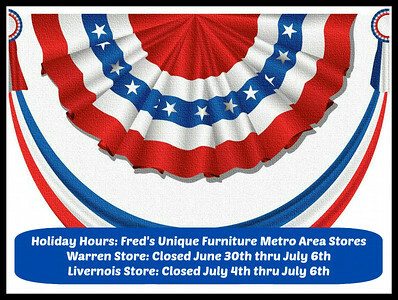 06/27/14 - Fred's Unique Furniture's Metro Detroit Stores will be having special hours for the July 4th Holiday. Website shoppers can still call 586-447-6650 during the break for answers to questions about website items or to place website items on hold. We'll also be checking our Warren store voice mail (586-776-7100) during the break, so if you have furniture to sell or other business with our stores, you're welcome to leave a telephone message and we'll get back with you at the earliest opportunity. It's often hard for people to believe, but all of our retail stores are basically run with one shift of employees. This is also true for all of our delivery operations, furniture pickup and off-site liquidation operations as well. Even when Fred takes an occasional day off, there's hardly a moment when he isn't on the phone communicating and coordinating activities with customers and employees. It's never-ending and exhausting for all of us. Each year, we discuss the possibly of closing for a week to take a break and enjoy life, but it typically never works out. For the first time in 34 years, we're going to give it a try. 05/31/17 - We are fortunate to have many creative people regularly visit our stores. Set designers from Hollywood movies, local theaters, music videos and event planners are always looking for unique and eclectic items to set their productions apart from the ordinary. These pictures are from a recent bridal event created by Event Planner and customer Dessi Terzieva, using furniture and accents purchased from Fred's Warren Store location. 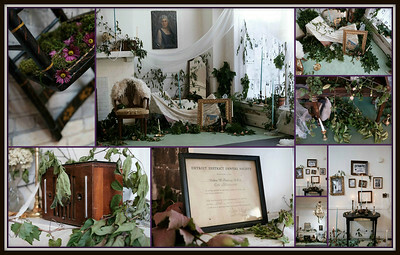 Dessi's clients were looking for a quirky Victorian flare and Desssi staged several rooms to capture that mood. Looks like she succeeded. Thank you, Dessi, for sending pictures of your event and best of luck to you in the future. Photo credits Benjamin David. 08/27/16 - Basketball & Hockey Season Will Be Stating Soon. Fred and good friend Detroit Red Wing Hall of Famer Mickey Redmond are getting ready to begin working out for the coming sports season. Until then, a little bit of friendly sparring will have to do. Over all of the years and all of their injuries, both still love their sports and are still determined to play them. Never give up. 10/10/15 - There's a lot of upgrades and new features “under the hood” that you will quickly discover. The summary appearing below is just a partial list of the most significant changes and improvements. Have fun. 1. Every Menu Bar Option beneath our logo has been reformatted to display more content per screen. 2. The “Furniture” Menu Option Gallery Page has been completely reformatted to feature larger icons with less open space, making it easier to see and navigate. 3. Larger pictures in all Galleries, plus updated Enlarge and all new Full Screen Display Modes. 4. Share any picture in our Galleries directly to your Facebook, Google+ or Twitter accounts. 5. New “Have it Your Way” Picture Gallery Display Options. Ctrl + Mouse Scroll Wheel adjusts the Gallery display to your personal preference, Ctrl + 0 (ie. Zero) resets display to default. Happy Birthday and Happy Thanksgiving To Fred. 11/25/14 - Typically, Thanksgiving Day is a time to give thanks for your family, friends and the positive things about your life. This year, Fred's Birthday is also on Thanksgiving Day, Thursday, November 27th. Those of you that know Fred, realize that he is a truly exceptional person. He's a good and loyal friend and someone you can count on. What you may not realize is the sheer number of people Fred has helped in so many ways over the past 35 years simply out of the generosity of his heart. There are people and ex-employees who return to the store even after 20 years to let Fred know that something he once did or said had a profound positive impact on their lives. 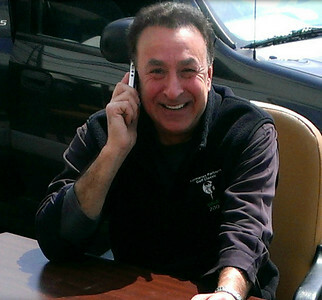 After 35 years in business, Fred is still actively involved in expanding and growing Fred's Unique Furniture. In fact, the past several years have been the most intense of his entire career. 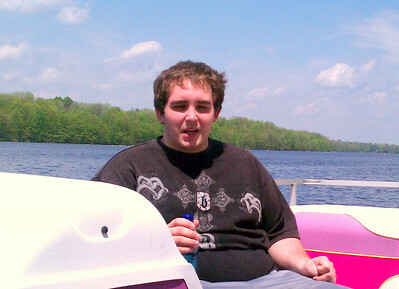 It's taken its toll in the loss of free time, social relationships and the ability to help in taking care of his Mom. It's difficult for anyone other than those of us that work here to truly understand what an intense and pressure-packed business this is. There are not many business owners that could handle it for even a year, let alone for nearly 35. Still, through it all, Fred is as determined as ever to keep moving forward. So, Happy Birthday to you Fred from all of your employees and friends. 08/14/18 - The year 2018 has been one with many challenges for Fred, as well as our business. Members of Fred's family have confronted several major health issues and our growing business has placed additional daily strains on Fred and everyone that works here. Needless to say, Fred hasn't had much free time away from his typical 7-day a week schedule. Last Sunday, Fred spent a day by the pool with some of his nephews and nieces and their families. That's Fred with his niece Ronia enjoying a poolside day. Oh, and many of you might not be aware that Fred had acquired 2 new German Sheppard puppies earlier in the year as well. The dog's names are Benjamin (left) and Franklin. Both dogs are 8 months old, as well as being friendly and loyal.